A record player outputs a very low signal that has very little bass and a whole lot of treble. Connecting it to an ordinary amplifier will just produce garbled, low volume sound, and you need a phono input to make it right. 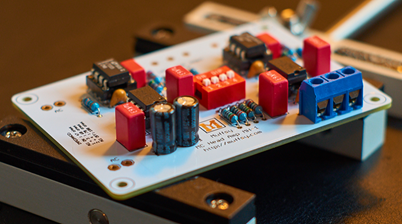 Even if your amplifier has a phono input, you can often improve greatly on that, and this is where the Muffsy Phono Preamp, MC Head Amp and Power Supply enters the equation. A great phono stage, to use with your MM or high output MC cartridges. It is sold as a kit, with all necessary components included. An extra amplification stage designed for the very low output signals of MC cartridges. Use it together with the Muffsy Phono Preamp or the MM phono stage of your choice. All components are included in the kit. 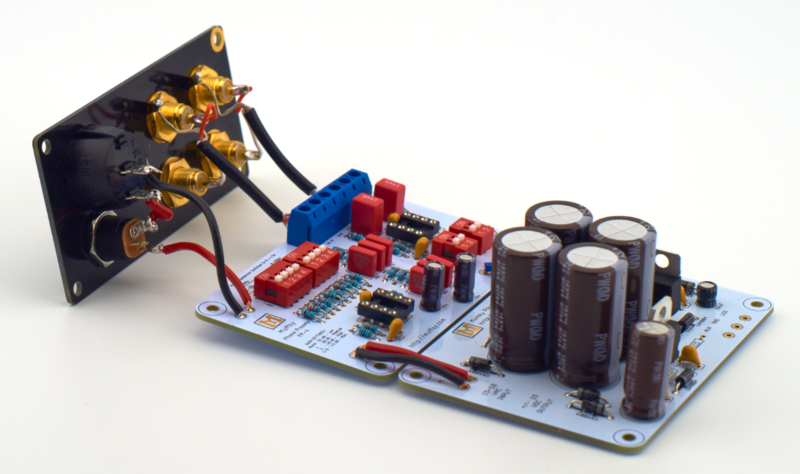 The power supply is needed to produce the +/-15 volts DC power to the phono stage. The power supply is sold as a kit, with all the necessary components. The required AC adapter is not included with the kit, please see this page for options. The Muffsy Back Panel fits perfectly on a B0905 cabinet (easily found on eBay), and comes with all the necessary components. 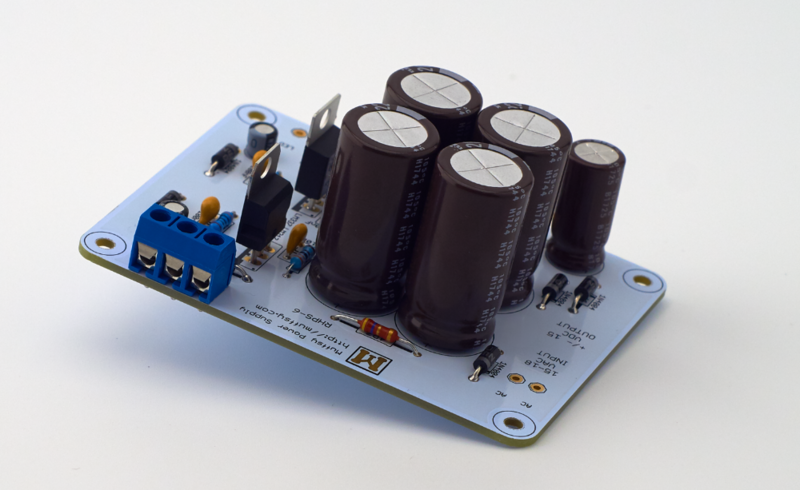 The Muffsy Hifi Dual Power Supply gets its power from an AC wall adapter. This adapter is not included with the kit, please see this page for options. Make sure it is an AC to AC adapter at 15-18 volts, and that it can deliver at least 100 mA (0.1A) of current. The kit does not come with an enclosure, see this page for options. 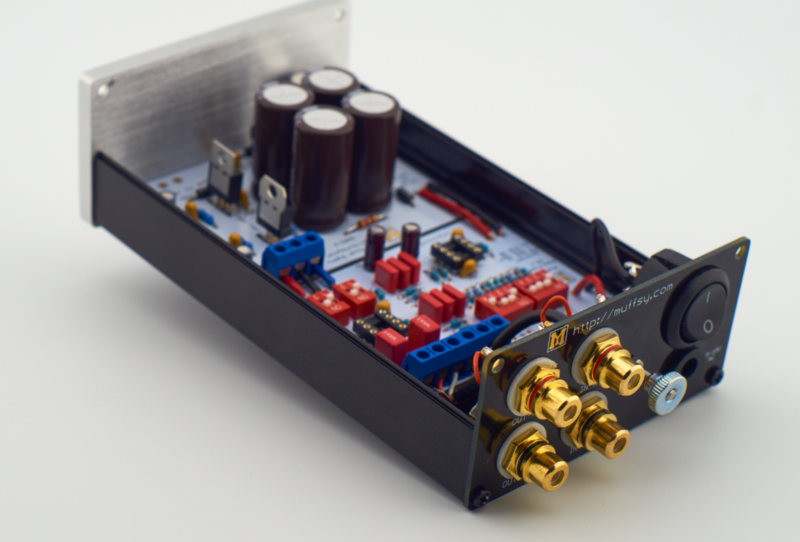 Apart from that, the kits contain everything else that you need for building a complete phono stage. This includes all cables and connectors, and even soldering wire. 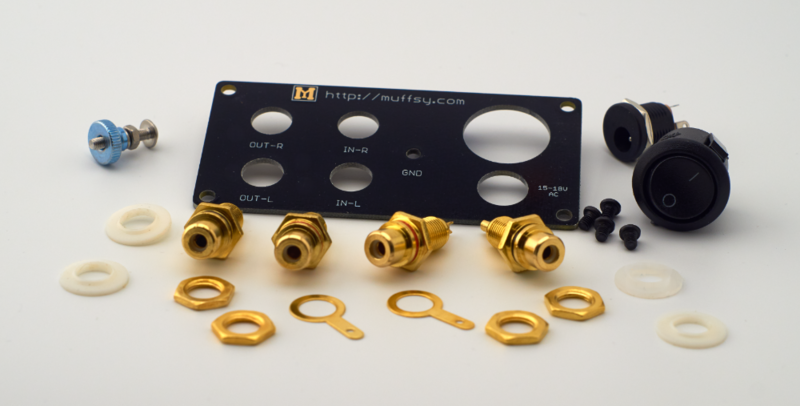 The Muffsy Phono Preamp and MC Head Amp instructionscontain all the information you need to make your kit complete.